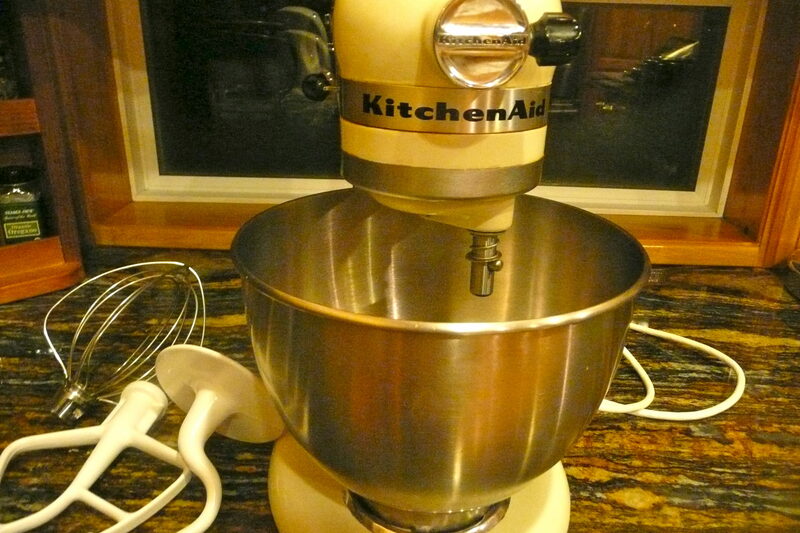 Quite a few years ago, 20 maybe?, my husband and I received a Kitchen Aid mixer from his mother. I use it all the time! It is easy to clean and the attachments can go in the dishwasher and clean nicely. My only problem? The older I get the harder it is to lift. Soon it will have to become a permanent counter appliance.